Last month, American Express Membership Rewards program restored its point transfer ratio to 1-to-1 for both partner Avios programs: British Airways and Iberia. With a 250-200 conversion for British Airways and a 5-4 conversion for Iberia, transfer ratios left a lot to be desired previously. Shortly after, a new promotion sweetened the deal even further. Amex began offering a 40-percent bonus on all Avios transfers through September 17. Both British Airways and Iberia are distance-based programs, which means that the number of miles required to book an award flight depends on the physical distance between two airports. The shorter the flight is, the fewer miles you’d redeem to book it. Naturally, longer flights cost more miles. Let’s take a look at how the current promo can benefit you. In many cases, the best use of BA Avios will involve short-haul legs that are expensive when booked with cash. For example, British Airways operates a fifth-freedom route between Grand Cayman and Nassau, Bahamas. A fifth-freedom flight connects the airline’s home country with another country by means of a third country. In this case, BA flies from London to Nassau, makes a stop for passengers to disembark or board and continues on to Grand Cayman. It is possible to book just the final leg, which is 468 miles and requires 4,000 Avios to book on off-peak dates and 4,500 Avios on peak dates in economy. With the promo in place, transferring 3,000 Membership Rewards will net you 4,200 Avios, which is enough to book one of these flights on off-peak dates. Normally, this one-way flight costs about $500 if paid for in cash. Short-haul expensive flights is where BA Avios shine, and this strategy can be applied in other instances, such as on Japan Airlines-operated flights within Japan and Qantas-operated flights within Australia. Although still a good deal, British Airways utilizes a slightly different redemption chart for short-haul flights that originate in the United States. The program lumps in both Zones 1 and 2 into the same zone and requires 7,500 Avios for redemption on its oneworld partner American Airlines on flights that are up to 1,151 miles long. Be careful with this strategy. If multiple legs are involved, the system will price out the legs separately and combine the total number of miles, so this strategy works best when booking non-stop flights operated by partner American. For example, a flight between Phoenix and Seattle is 1,107 miles, which belongs to Zone 2 on the redemption chart. Phoenix is an American Airlines hub, and there are non-stop flights between the two cities. You can book a one-way economy flight using 7,500 Avios or transferring 5,500 Membership Rewards points to BA during this promo. The same flight will set you back 12,500 AAdvantage miles when booked directly with American Airlines miles, so this is one of the program’s sweet spots. Although booking short-haul flights using British Airways Avios is the most beneficial, there are ways to maximize the current promo for long-haul awards. For example, a non-stop flight from Los Angeles to Hong Kong is 7,260 miles, which belongs to Zone 9, BA’s most expensive zone as far as the cost in miles. An off-peak flight in business class on a oneworld partner Cathay Pacific comes to 105,000 Avios, which is rather high when it comes to booking award flights between the U.S. and Asia. However, with the 40-percent bonus, this flight will set you back just 75,000 Membership Rewards points, which is a competitive redemption rate when compared to other region-based reward programs. Cathay Pacific’s business class upholds its reputation as one of the most acclaimed premium cabins, so you can rest assured you’d have a comfortable ride to Hong Kong. Although Iberia also utilizes Avios, the same currency as British Airways, the award charts and zones are different sometimes. One interesting sweet spot is on flights between Chicago and Madrid. The cities are 4,202 miles apart and should technically belong to Zone 6 on the award chart, but this award requires the same number of miles as Zone 5 awards, and we’re not going to complain about that. This one-way redemption in business class requires 34,000 Avios with both British and Iberia programs on off-peak dates. 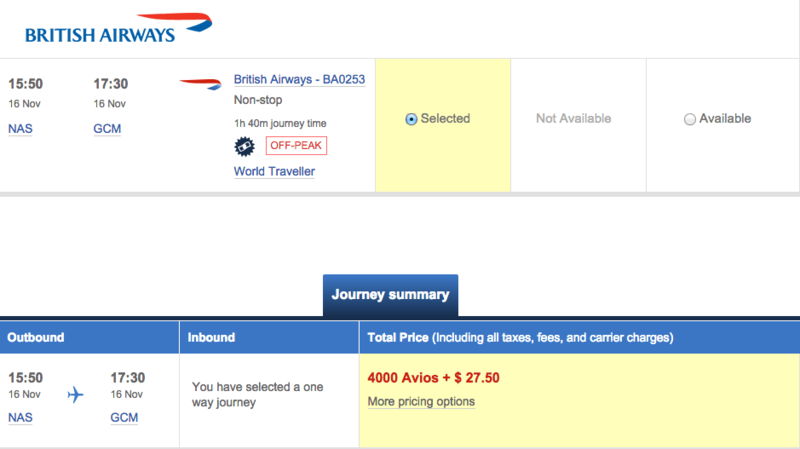 However, BA is known to impose exorbitant fuel surcharges on some redemptions, including this one. If you book this non-stop flight with British Avios, you’ll pay 34,000 miles and $506.10 on top of that. If you book it with Iberia, you’ll pay the same 34,000 miles but only $99.25 in taxes—a huge difference when booking a round-trip award. When taking the promo into account, you’ll transfer 24,500 MR points to Iberia to book this award, which is a screaming deal. Most zone-based programs charge about 30,000 miles to fly one way in economy. If you want to fly from Chicago to Spain, or vice versa, in business class, redemption rates don’t get better than that. Although the 1-to-1 transfer ratio between Amex and Avios programs is a permanent change, the 40-percent transfer bonus is not. If you’re Avios poor and MR-points rich, it makes sense to book one of these awards while the transfer rates are this good. You have until September 17 to maximize the transfer bonus. However, I do not recommend converting points speculatively, without having a specific redemption in mind. Membership Rewards points are flexible, whereas Avios are not so much, so it’s always best to have concrete plans before making an irreversible point transfer. Perhaps, some of the ideas above will inspire you to take advantage of the transfer bonus and book one of the destinations.